Sal started Khan Academy in 2005 to help his cousins (and soon other people's cousins). In addition to setting the vision and direction for Khan Academy, he still makes a lot of videos (although he's not the only one anymore). 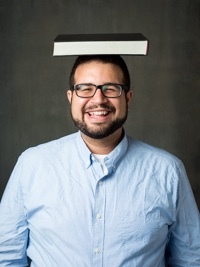 Sal holds three degrees from MIT and an MBA from Harvard. John invents tools and platforms for Khan Academy, like our programming environment, exercise framework, and internationalization framework. 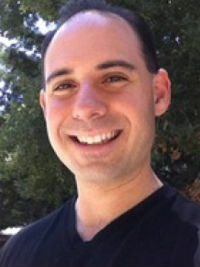 Tom studied Mathematics, Cognitive Science and Data Science at UC Berkeley, and has spent time in the computer games industry developing cutting-edge virtual worlds. 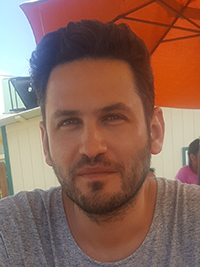 He now manages the Content Platform team, which builds next-generation tools for content creation and internationalization. 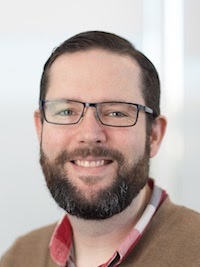 Craig is focused on the infrastructure that supports Khan Academy, from its databases to its developer tools. 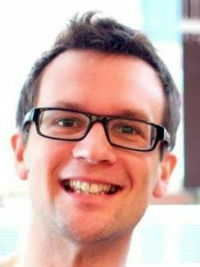 Before joining, Craig worked for Google, where he was the first employee hired by Larry and Sergey. 1) Travel to the future. 2) See what he did. 3) Come back and do it now. He's done time at Pixar, Disney Animation, and as a Hollywood peon. Pamela was born to a duo of Computer Scientists who told her that she could learn programming without their help, thanks to the internet. Now that she's at KA, she creates the computing curriculum to make that true! When Pamela's not coding or teaching, she's usually playing improv games. Before KA, she worked at Coursera and Google. All Tom dreams about is getting more people on Khan Academy. Tom is the youngest of seven in a patchwork family that has given him 16 sweet nieces and nephews and umpteen million laughs. Tom comes to us via the Pearson Affordable Learning Fund, LeapFrog Investments, McKinsey and a U.C. Berkeley MBA. His dream is to one day open a chain of innovative schools back in sunny Australia. Mia works with a wide variety of organizations to create and launch new and exciting content on Khan Academy. 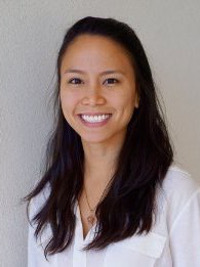 Before joining the team, she completed the Coro Fellowship in Public Affairs and graduated with a degree in history from University of California, Berkeley. Annie works with the product team to make great experiences for everyone who uses Khan Academy. She’s excited to help people find wonder in what they learn and achieve their goals. 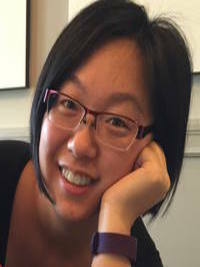 Previously, Annie worked at software and hardware startups, as well as Microsoft and MSR. She studied CS and design at MIT, where she made apps to help designers learn about programming and share the process behind their work. 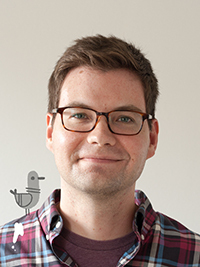 Colin is a biologist turned data engineer who loves using data to tackle challenging problems, loves singing, and loves eating beets. 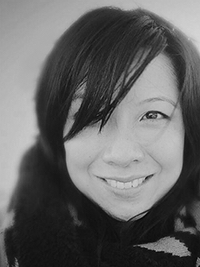 May-Li is excited to help people learn using the power of thoughtfully designed interactions. She’s dedicated to helping build a diverse and vibrant community of inventors who question everything and are prepared to redesign the world. Previously, May-Li invented future user interfaces at Apple. Nick regularly sits down with the finance team to make sure that the financial numbers stay classy. 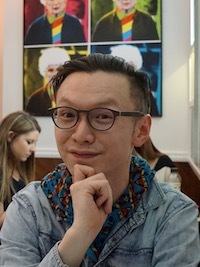 Previously, he spent time at Kiva.org and Starting Arts. He received a B.A. 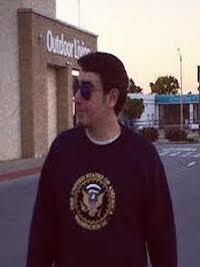 in visual arts & political science from UC San Diego and an MBA through UC Davis. 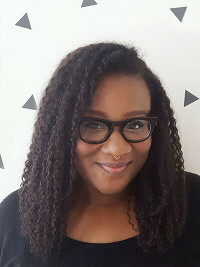 Natalie is a designer and digital illustrator who loves creating things that don't yet exist and making them as beautiful as they are functional. For fun, she likes live music, indie movies, comic books, and cooking. Before joining the team, she earned a B.F.A. in Graphic Design at the Maryland Institute College of Art and worked with Cartoon Network and JibJab Media. Kevin is passionate about math, computing science, and education in general. He likes building new things and wants to help transform education. 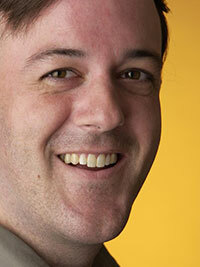 Kevin has been developing and managing software projects for a long time, most recently at Adobe and Mozilla. 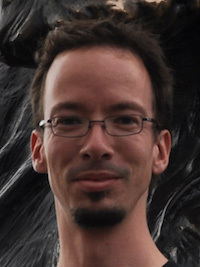 He has been involved in open source projects for more than a decade and is known for starting CommonJS and TurboGears. Beyond the realm of software development, Kevin has written a series of children's fantasy novels. 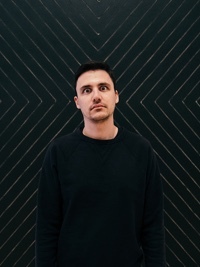 Leo is a product designer and manager that enjoys organizing messy things. He loves library science, behavior science, game design & video games, and spending time with his greyhound Bea. 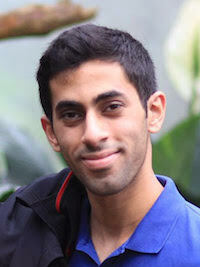 Before joining Khan Academy, he studied information science and worked on native apps for Target and Starbucks. Ben studied math with a side of physics and computer science at MIT; now he works on infrastructure at Khan Academy. 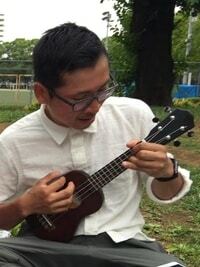 When he's not busy learning, teaching, or writing education-related software, he enjoys hiking, folding origami, and doing puzzles. Elizabeth is a Product Designer working to bring Khan Academy to the classroom! She loves talking about Alexander McQueen and plays classical saxophone. Anju spends her days working cross-functionally with devs, designers, partners, teachers and learners to help shape and build a fantastic product. She comes to the Khan Academy product team by way of McKinsey and Microsoft. 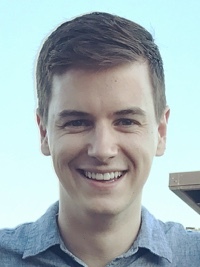 Matt loved his internship with Khan Academy, so, after finishing his Rice CS degree, he came back. 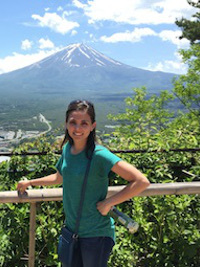 Before joining the Data Science team, Amy was at Harvard/MIT analyzing neuroimaging data. 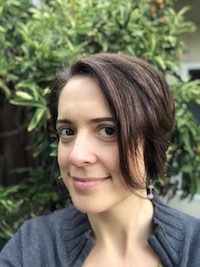 Though she still thinks brains are very cool, Amy is psyched to now be using data to understand and improve the learning experience of millions of students around the world. When she is not playing her computer, Amy likes to climb rocks and rock-shaped polyurethane. Kim gets away with spending her entire life telling ghost stories by calling it "history." 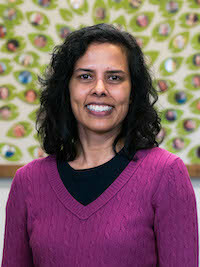 Before coming to Khan Academy she earned her Ph.D. in History from the University of North Carolina and spent a few years teaching college in Virginia. Her favorite things are tomatoes, cats, and Abraham Lincoln, not necessarily in that order. 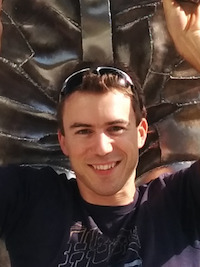 Jared came to Khan Academy after finishing his BS in CS at Brigham Young University. He enjoys spending time with his family, camping, singing, and opining about how to make the world a better place. 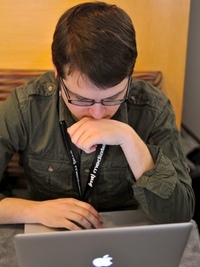 Bryan works on Khan Academy's mobile apps, and loves pixel-nudging them until they're perfect! He lives in Seattle, and enjoys cooking, running, and taking his son to the zoo. Before joining Khan Academy, he was a mobile designer at Starbucks. Sean's ridiculously excited to be working on education technology. He's been a security developer, an animation-tools specialist, a full-time traveler, a studious six-year-old, and a student at the University of Waterloo, in no particular order. When he's not coding, he's probably seeking out nature, taking photos, cooking, or playing guitar. Ben thinks that education is a great tool to empower people. He also likes scratching his head over data problems and building robot dinosaurs. So, naturally, Khan Academy is the place for him. After living abroad for many years, Irene works on growing Khan Academy's international markets. 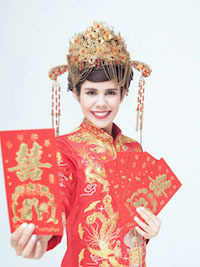 In a previous life, Irene was immersed in the education space, first founding BEAM, an edtech nonprofit, then serving as the International Lead at VIPKID. She loves ballet and board games, and leads the Khan Academy Philharmonic. Irene received her A.B. and Ed.M. from Cornell and Harvard respectively. 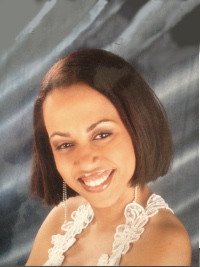 Muneerah has worked for over 20 years in both for-profit and not-for-profit organizations. For the first half of her career, she worked as a management consultant at PricewaterhouseCoopers and The Parthenon Group specializing in corporate restructuring and operations management. 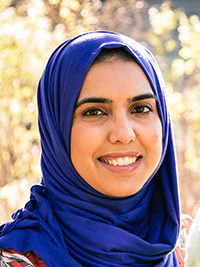 For the last 10 years, Muneerah has held development leadership roles in the non-profit education sector in the Bay Area at the Palo Alto Partners in Education and The Nueva School. 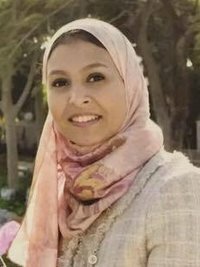 Muneerah holds a B.A. in Mathematics from Smith College, a M.S. in Industrial Engineering and Operations Research from Northwestern University, and a M.B.A. from Harvard Business School. 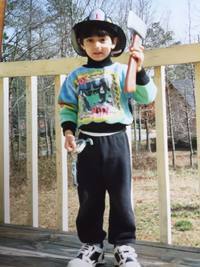 Before coming to Khan Academy, David earned a B.A. in English Literature and Film and Media Studies from Washington University in St. Louis. 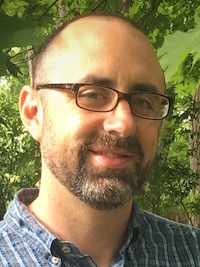 After graduating, he served as the editorial director of an educational games publisher in Chicago, and as a producer, writer, and voice actor on a science fiction podcast. Some of David’s hobbies include: podcasting, cooking, and board games of intermediate complexity. David’s favorite words: Fjord, balalaika, chthonic, chicanery, bumbershoot. Angela is responsible for day-to-day financial transactions, ensuring that the bills get paid and accounting for all the dollars and cents. 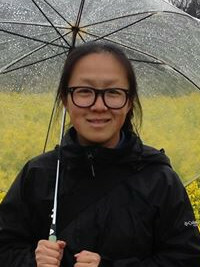 Prior to joining Khan Academy, Angela worked in cash operations at First Republic Trust Company and taught English to children in South Korea. When she is not busy reconciling bank statements, Angela can be found paddling in a canoe or going for a run around the city. 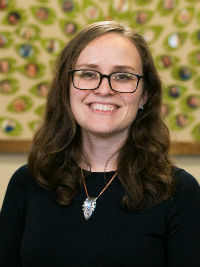 Lindsay studied Nonprofit Administration at the University of Notre Dame and sees her role with Khan Academy as the perfect marriage of her two professional passions: math education and the not-for-profit sector. 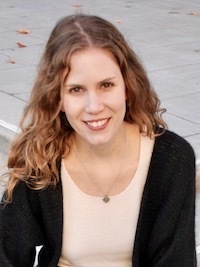 Prior to Khan Academy, Lindsay taught secondary math and created graduate level coursework for math educators. In addition to being an educator, Lindsay enjoys watching college football and basketball, running, and coaching four-year-old soccer. Tina is responsible for making sure that all the numbers go into the right buckets and that the number trains are operating on schedule. While she’s not at work, she is shuttling around her two kids from school to the ball field to the pitch. Caroline likes making everything as efficient, effective, and equitable as possible. 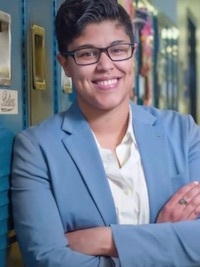 Before joining Khan Academy, she was at Teach For America - first as a middle school science teacher in the South Bronx, and then as a member of the national organization's staff. 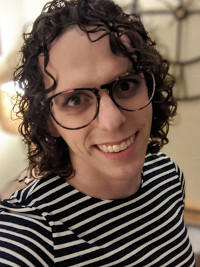 She is a Ravenclaw, studied Brain & Cognitive Science at MIT, and spends her free time cross stitching personalized and sometimes odd samplers for loved ones. Sandeep heads Khan Academy in India and dreams of providing every kid an equal chance in life. 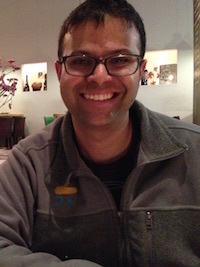 Prior to Khan Academy, Sandeep spent several years at IFC investing in companies in Asia, Africa, Latin America and Europe. He later founded an edtech startup that created communities for online learners in more than 80 countries, many more than he has traveled to. 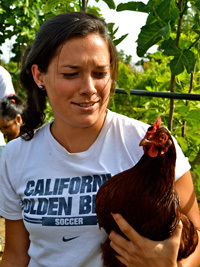 Lizzie works on the Philanthropy team as the manager of community giving. 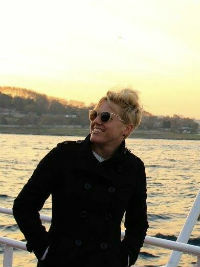 Lizzie is an avid open water swimmer and has competed in races on both US coasts. Before joining Khan Academy, Lizzie worked at several museums in education, development, and visitor services. Lizzie holds a B.A. in Art History from Colorado State University and a M.A. in Museum Education from University of the Arts in Philadelphia. Julie joined Khan Academy to help ensure its long-term sustainability. She’s excited to focus on making Khan Academy’s incredible content available to anyone, anywhere, for years to come. 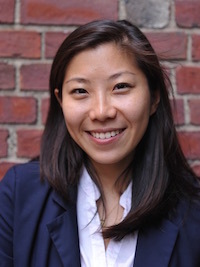 Previously, she worked on improving educational equity at organizations such as NewSchools Venture Fund, where she raised funds to support early-stage education entrepreneurs. She was also on the founding team at Wishbone.org, a crowd-sourced fundraising platform that sends low-income high school students to summer programs. Julie is an avid dancer and lover of Japanese food. She received her A.B. from Princeton University. 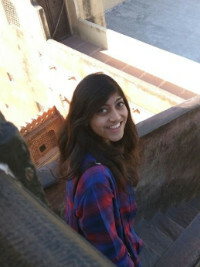 Rosie started her Khan Academy career developing SAT questions and is thrilled to be back on the Test Prep Content team. 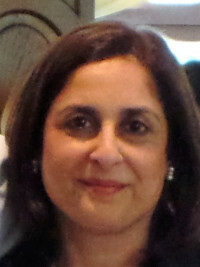 Before joining Khan, she worked at an affordable housing non-profit connecting residents with needed services. Nick takes ideas and turns them into code. He works at Khan Academy on mobile projects. 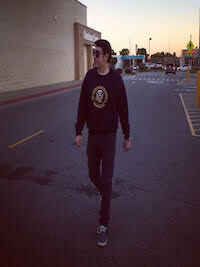 In his free time you’ll catch him hiking through the hills of California or in the kitchen cooking up something tasty. Dhruv works on the infrastructure team at Khan Academy. 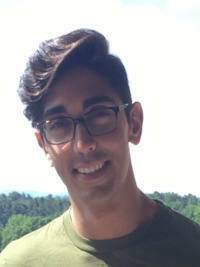 Before joining Khan Academy, Dhruv built educational technology products at Zearn and Amplify, taught high school math in Brooklyn through Teach for America, and studied Computer Engineering at the University of Virginia. Cassey is part of the dynamic duo that runs the Office of the CEO. She uses her OCD-like organizational skills to make sure Sal’s day runs as smoothly as possible. 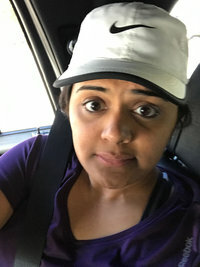 Before Khan Academy, Cassey worked as the office manager of a private clinic in Palo Alto for two years - mainly working with children with attention difficulties and academic struggles. 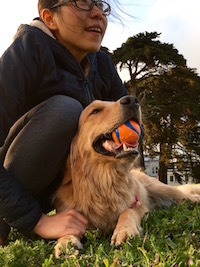 She graduated from UC Berkeley with a degree in psychology and outside of the office, she can be found binge-watching Netflix, hanging out at Dolores Park, and dancing to Top 40. 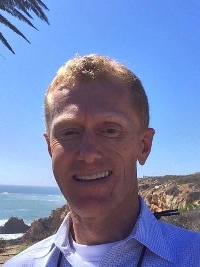 Before joining, Brian worked in healthcare, education, research, load testing, military, and power management. 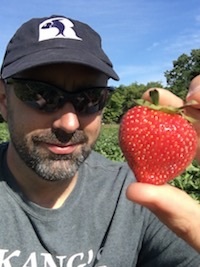 When not hacking, Brian can be found riding his road bike, nerding out in the kitchen, or goofing around with his kids. Nick is super excited to be working with the great folks at Khan Academy to improve education for everyone, everywhere. 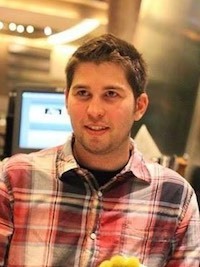 His professional history includes starting small businesses and writing clean code at startups. He's a big fan of being happy, technology and how it can help the world, reading, tea, and all situations that provide backdrops for exceptionally long conversations (camping, hiking, or hosting dinner parties). Laurie is a nerd for online communities, and at Khan Academy gets to work with one of the internet's finest. Before Khan Academy, Laurie helped internal teams make sense of the strange and wonderful weirdness of internet communities at various gaming and social media startups. When she's not geeking out over the amazing ways that humans interact online, she can be found exploring some part of the world trying to collect good stories. 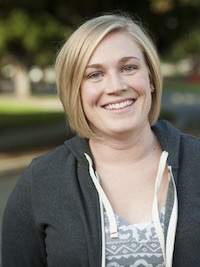 Julie is the Recruiting Coordinator on Khan Academy's People Ops team. She is a member of an awesome team working to bring top talent to Khan Academy by providing a world-class candidate experience. She strives to not only make every experience personalized but build long lasting relationships with every candidate. 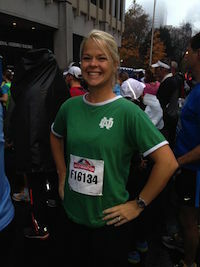 Prior to joining Khan Academy, Julie spent some time as a Talent Operations Coordinator at SugarCRM. She graduated from Carrington College with an A.S. in Criminal Justice. When Julie isn't at work, she's busy volunteering at her son's little league and teaching her puppy, Chewie. Anthony supports the staff at Khan Academy ensuring the technology is up to date and working reliably. Before joining Khan Academy he worked in IT for 15 years implementing and supporting technology at public & private schools. He has a passion for technology that started at an early age and built his first computer to play the latest games. Learning new tech and solving problems are two things he enjoys. 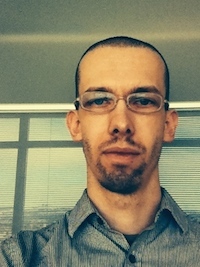 As a hobby he enjoys designing and programming iOS/Android games. 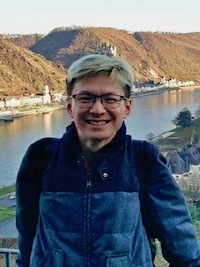 Michael has joined Khan Academy after years of building all kinds of software, everything from embedded devices to video games. He likes dodging trees and sharks while mountain biking and scuba diving, respectively. 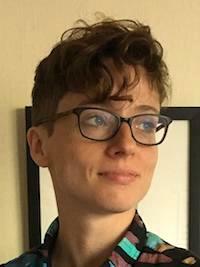 Hannah fell in love with Khan Academy while developing an introductory computer science curriculum for middle school students. She interned at KA in 2015 and is thrilled to be back full-time! Her favorite activities include baking and biking. Dave is on the Adoption Team, where he thinks about how to help teachers and schools inspire a lifetime love of learning. Prior to joining Khan, he studied International Politics and Mandarin at Georgetown University and taught high school algebra, calculus, and statistics to tenacious teenagers in Texas and California. For fun, he loves adventure races, narrative non-fiction books, and moderately competitive lawn games. Nick's working on new tools that support teachers and classrooms. 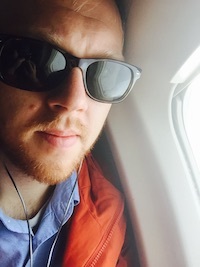 Previously, Nick helped build and grow products at betaworks, Techstars, and Canvas Networks. A fan of wordplay and creativity, Nick is interested in inventing new interfaces for expression. Before joining Khan Academy, Dave ran a test prep and college counseling firm in New York, and worked with students all over the world. Our goal is to be equal parts coach, mechanic, statistician and guru, occasionally with a little firefighter and comedian thrown in. We love helping our learners build their confidence and boost their scores with concrete techniques, strategies, and explanations that are warm, rigorous and candid. We hope to inspire our students to reach their targets and pursue their dreams. Harsha Dronamraju joined Khan Academy because he believes solutions to the world's toughest problems could be locked in the mind of a student without access to a high quality education. 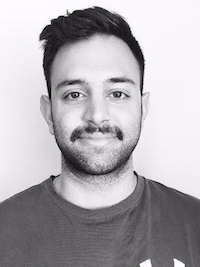 Prior to joining Khan Academy, Harsha was a product manager on the mobile game, Words with Friends, and was an Education Pioneer Fellow with Bellwether Education Partners. 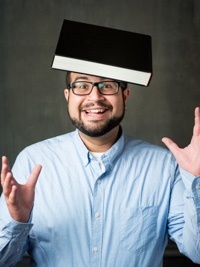 He holds a BA from Tufts and an MBA from Northwestern - Kellogg. Amos works on the infrastructure team at Khan Academy. Previously he helped create the Zope web framework and did a bunch of public art projects. He likes building kites and horsing around with his daughter. 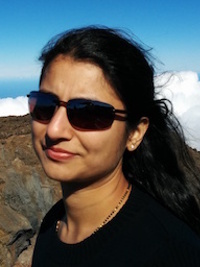 Ragini works in the Data Science team at Khan Academy. She's a Virginia Tech alumnus and comes from OSIsoft where she created software for real-time data. She's fascinated by the impact Khan Academy has made and will make in uplifting the lives of so many people, worldwide. She loves Mathematics, playing badminton, swimming and eating desserts. Aasmund is a geek of all trades who grew up in Norway (where winter isn't only coming, it's been there all the time). Since discovering programming at the age of twelve, it has been his greatest hobby. While studying at the university, he discovered his love for teaching, and started giving extra lectures to his fellow students. 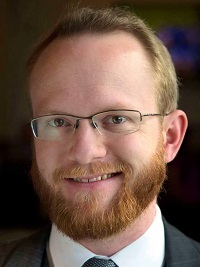 When not teaching or programming, Aasmund enjoys reading, playing classical piano, hiking, and bragging about the three extra letters in the Norwegian alphabet: Æ, Ø, and Å.
Jen provides administrative support to the VPs of learner, educator, finance, and international development so they can focus on Khan Academy’s awesome mission. Prior to joining us, Jen worked in several community-based social service organizations and libraries. 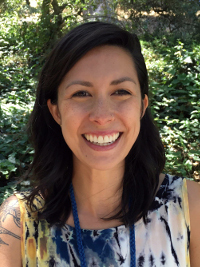 She earned an MLIS from San Jose State and also studied at UCLA. She enjoys historical fiction, quirky comedies, and watching everything with the subtitles on. Odelia is super excited to be part of the Finance Team to help make sure all transactions, big and small, are accounted for accurately. 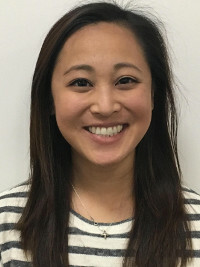 Prior to joining Khan Academy, she was also working in finance at PG&E and Gap Inc.
Outside of work, Odelia enjoys reading, traveling to exotic and unexplored places, learning new things, visiting cute card and paper shops, admiring the color changes in leaves during fall season, and attending basketball games. She also volunteers at a mentorship program monthly to hopefully inspire and guide students to take charge of their learning. 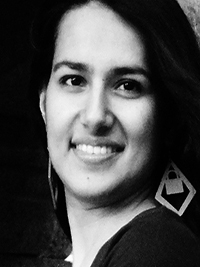 Sanyukta is a designer who is excited to work on products that bring the world forward. She's had a mishmash of experiences - from working freelance, interning at a giant corporation and working at a design agency, to being an in-house brand and UX designer at a tiny startup. 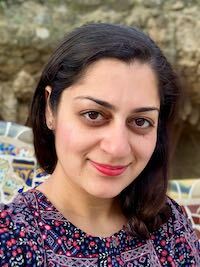 Sanyukta enjoys cookouts with friends and family, traveling, collecting gorgeous cookbooks, putting a fried egg on everything and battling her Goodreads reading list. Lauren leads marketing initiatives to spread the word about Khan Academy to people around the world. 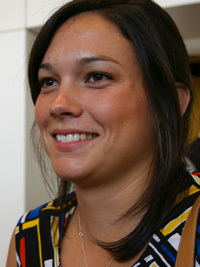 Prior to Khan Academy, Lauren developed marketing strategies for Woodside Hotels. 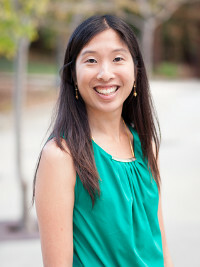 She holds Bachelor of Arts degrees in English and Communications from UC Davis and an MBA from UC Berkeley. In her spare time she loves cooking, reading, and watching Broadway musicals. Alice is an ardent believer in growth mindset, lifelong learning and quality education for all. Prior to Khan Academy, she specialized in marketing and business development before transitioning to software engineering. 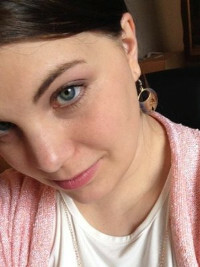 Alice enjoys reading (especially SFF, Historical Fiction and YA), writing, traveling and being a foodie. Like Otis Redding, Ravi left "…his home in Georgia, headed for the 'Frisco bay.'" 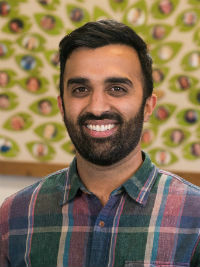 Unlike Otis Redding, Ravi has had the pleasure of working at Khan Academy with incredible people eager to make a readily-available, world-class education a reality for everyone. He ardently believes that you Khan teach yourself anything, and his efforts Khantribute to direct-to-learner initiatives. His background is Khanducive to thinking deeply about the kinds of nebulous problems KA faces in its ambitious quest to educate the world! Khantrary to popular belief, his Khantless puns are Khanpletely involuntary — a reflex he Khant Khantrol. Tatiana is at her happiest with her work when she can empower people to discover their potential. 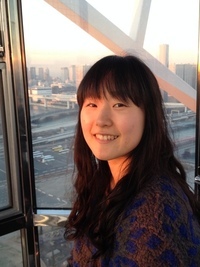 Previously, she has worked as product designer for leading edTech startups in China. She studied engineering in Colombia and fell in love with design when she was an exchange student at the Stanford d.school. Ginny joined Khan Academy in December 2016 to help Sal realize his vision of creating free, world-class education for anyone, anywhere. Prior to joining Khan Academy, Ginny spent the bulk of her career at Intuit running various business units and functional groups. Ginny holds a dual-BA degree from Brown University and an MBA from Stanford Graduate School of Business. 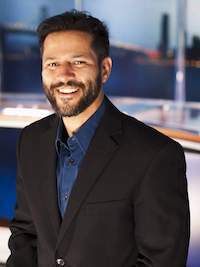 Felipe joined Khan Academy after an almost 20 year career working for the NBC Television stations in San Diego and in the SF Bay Area. He's won seven regional and one national Emmy award for his sports and investigative work and he's honored by the privilege to now be sharing the stories of Khan Academy with you. Ruchira is excited about working on products that provide accessible and high quality education to millions around the world. 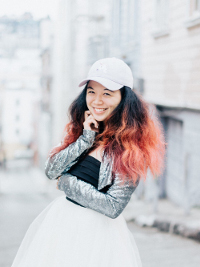 She became passionate about working in education after TAing for computer science classes during her undergrad. KA has provided her the perfect cross-over of education and software engineering. She is a recent University of Washington grad with a BS in Electrical Engineering. Kairui (pronounced “kai-ray”) wants to help everyone get access to free, quality learning experiences. He is most interested in the potential for the right learning experiences to transform people into curious, lifelong learners. A math and science geek at heart, Kairui had previously used his powers to fight fraud and to build an automated factory. 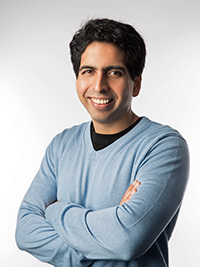 At Khan Academy, he uses the power of computers, statistics (and heart) to understand how people can learn most effectively and have fun while doing it! Jangmi found the joy of programming in Khan Academy all the way from Korea. 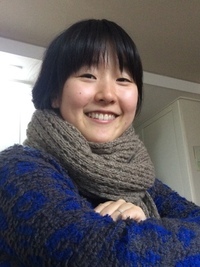 Prior to Khan Academy, she was an elementary school teacher in Korea while she taught herself to code. She loves learning new things and being a creative human being. With her free time, she paints, exercises, translates novels, and reads about cutting-edge tech. A perpetual learner, Josh is atingle with enthusiasm that he gets to help build a product that provides education for all. 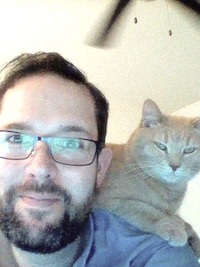 When he isn't building software things, he can often be found watching cats playing the piano on YouTube. 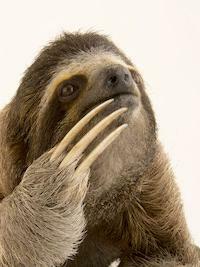 Nancy heads up the effort of figuring out "how do we make students aware of Khan Academy's excellent stuff?" She gets to create fun things like TV ads and School contests. Jacque’s goal at KA is to develop content that will help young adults navigate important life decisions, from choosing a career to planning for their financial future. 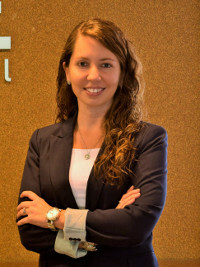 Prior to joining the KA team, Jacque worked as community college program manager and completed a Master’s in Comparative Public Policy at the University of Edinburgh. 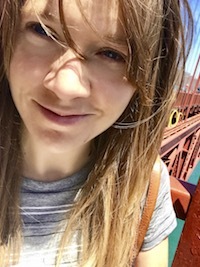 Jacqui is joining the Khan Academy infrastructure team following several years at IDEO.org, where she crafted online learning experiences for a global community of human-centered designers. In her spare time, she enjoys going on long distances bike rides, hiking/camping, doing crossword puzzles, and making chocolatey baked goods. David is a problem solver and an optimizer. He is always looking for alternate routes to take. 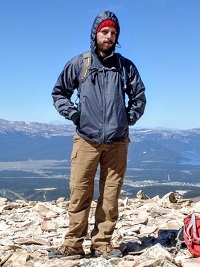 David spends his free time hiking or skiing the mountains of Colorado, depending on the season. When it's rainy, he enjoys board games with friends. 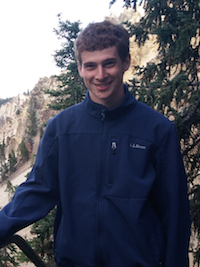 Joshua interned twice at Khan Academy, and is now a full-timer. 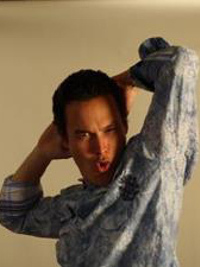 He studied Software Engineering at the University of Waterloo, and enjoys piano, cycling, and Mario Kart. Cora took a long and fruitful detour through the study of music and culture (with a side of data science) before returning to their roots coding in Python. Outside of work, Cora likes to sing, read and write poetry, and enjoy the company of their partner and two cats. Marta leads the engineering team in building learning experiences that provide a world-class education for anyone, anywhere. 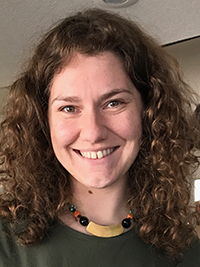 Marta taught math before developing software and is excited to now combine her passions in service to the Khan Academy mission. In the meantime, she held multiple leadership roles at HP, Intuit, and SCI Solutions. 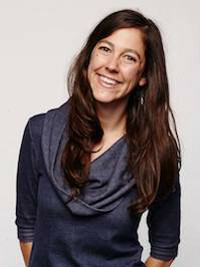 Marta holds a BA in Mathematics (Kent State University), an MS in Mathematics (University of Illinois), and an MS in Computer Science (University of Minnesota). Having used Khan Academy for years as a learner and a coach, Tracee has joined the team to support and advocate for educators. She is a former editor, math teacher, and nonprofit program manager who is passionate about learning and about breakfast food. Originally form Indiana, she is a permanent resident of St. Louis, Missouri, where she spends her free time eating, outdoorsing, traveling, and going back to school every few years. She would very much enjoy being on your trivia team, but wants you to know that the only category she will be of any use in is 90s-or-Earlier Country Music Lyrics. 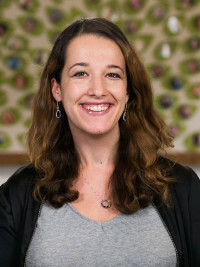 Julia is a Product Manager, focusing on scaling the impact of Khan Academy. She was previously a Product Manager at Edmodo. 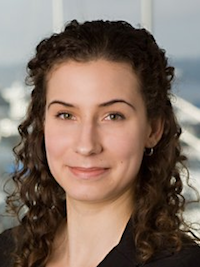 Julia has a BA from UC Berkeley, an EdM from Harvard, and an MBA from MIT Sloan School of Management. Julia started her career in education as a classroom teacher. 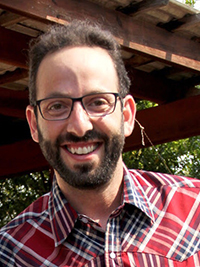 Tomer loves being a part of Khan Academy's mission to provide a free, world-class education to anyone, anywhere. As a math content creator, he's focused on the world-class part, constantly working on ways to make Khan Academy's content better. Before Khan Academy, Leah earned a B.A. in Political Science and Women's Studies and taught for U.S. History for two years at a charter high school in Houston. When she's not spending her time listening to podcasts about the Supreme Court, she spends her free time playing any and every card game out there and watching a whole bunch of superhero movies. Anthony helps users across the world can find the free educational content on Khan Academy from search engines. Before arriving at Khan Academy, he spent time doing e-commerce SEO and consulting for a wide range of clients. Anthony enjoys spending time with his wife Jenna and his two boys (Everett & Elias). Playing Nintendo, family board game night, watching a Vikings game or heading to the lake cabin are pretty typical plans for a weekend. Amanda believes that education is the key to a better future for her country. She loves Khan Academy and is excited about bringing this high-quality content to Brazil. 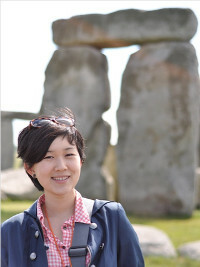 She leads the teams responsible for content localization and local content creation. Amanda has been working in Education for over 10 years. 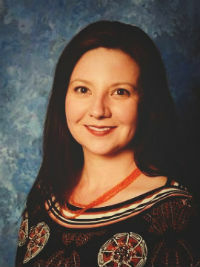 She has experienced many different roles, from educational franchise manager to teacher trainer, as well as being a mentor for teachers and school coordinators. In recent years she had been focusing on course material development, being an editor and member of the R&D department of an EFL publisher and franchiser. 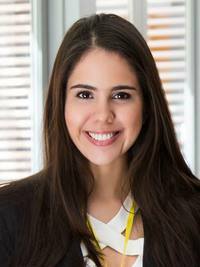 Amanda holds a BA from PUC, an MBA from FGV, and a graduate degree in teaching from SENAC. 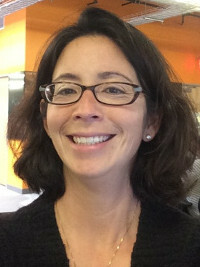 Katherine Morris is Vice President of Content at Khan Academy. In this role, she leads the team responsible for creating instructional videos, articles and practice exercises worldwide. 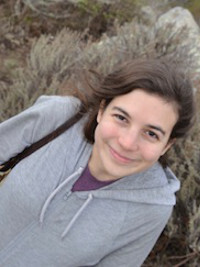 Prior to joining Khan Academy, Katherine was Director of Product Management in the small business division at Intuit. 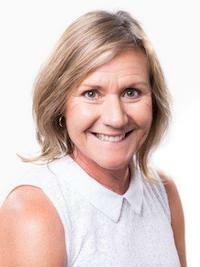 Her roles included leading the QuickBooks International, Payroll and Self-Help Content product management teams. 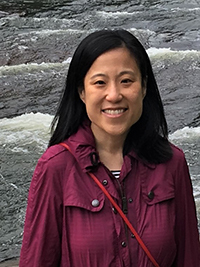 Before joining Intuit, Katherine worked as a business analyst in Accenture's Strategic Services Group and co-founded Bayshore Consulting, a boutique consulting firm focused on the credit card industry. 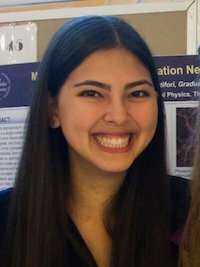 Katherine received her undergraduate degree at Stanford, where she majored in Human Biology. She also attended Harvard Business School, where she received a Masters in Business Administration. 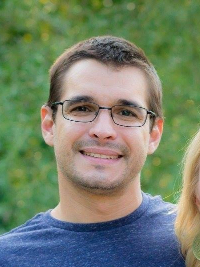 Jason was a former classroom teacher and technology coordinator. He ran Yahoo!’s Kids and Education businesses after leaving teaching, and has been working at various education, gaming, and entertainment startups over the past decade. 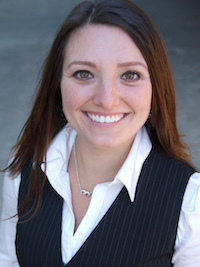 Kelli is a researcher who is passionate about solving problems by gathering and analyzing data. 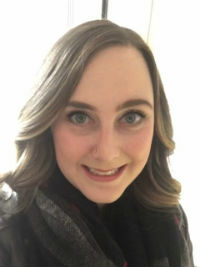 Prior to joining Khan Academy, Kelli spent 10 years at Pearson researching the impact of professional development on teacher practice and student outcomes. She also headed up international impact evaluation studies for K12 at Pearson. 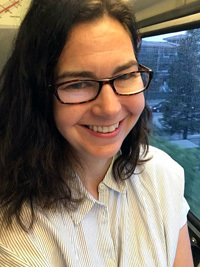 Before Pearson, she spent a few years at one of the Regional Educational Labs and a small edtech consulting firm conducting program evaluations of various technology initiatives. Her Ph.D. and M.A. are in education from UCLA and her B.A. is in psychology and statistics from the University of Pittsburgh. Austin's self-stated life goal is to learn everything about everything. Since that might take a while, he's starting with the fun stuff. 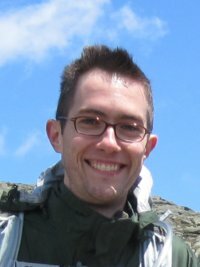 Using skills acquired during undergrad at Stanford (game theory and risk aversion), a Masters of Analytics program at Northwestern (predictive algorithms), and a two-year stint as a Data Scientist at Facebook (Python programming), Austin spent a year-long sabbatical perfecting a model that helps him choose which kicker to draft for his fantasy football team. It performs 3% better than the baseline and is likely his crowning achievement. 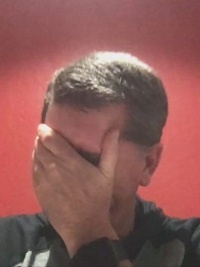 Jeff has been developing software since he was ten (with breaks for food, sleep, etc.). His aim when engineering is to make things easy to get right and hard to get wrong. 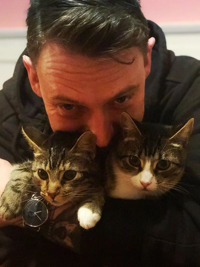 Originally from England, Jeff is based out of Austin, TX, where he lives with his wife and two cats. 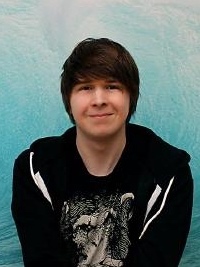 When not writing code, Jeff enjoys playing videogames, writing songs, and talking about going to the gym soon. Before becoming a product designer at Khan Academy, Vivek worked on anti-discrimination and growth at Airbnb, design systems at PayPal, and visual design at Barnes & Noble College. He's especially passionate about the intersection of design and social good. 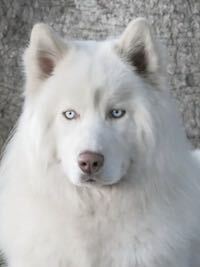 In his free time he enjoys playing tennis, basketball, making loud music with his friends, and spending time with his wife and giant Saint Bernard. 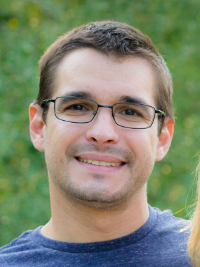 Jeff taught high school math and AP Statistics for 10 years in Kalamazoo, MI before coming to Khan Academy to join the content team. 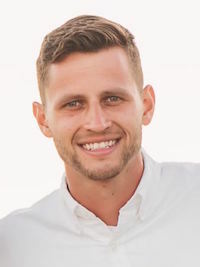 When he's not creating math and stats content, he enjoys playing and watching soccer, cooking, learning new things, playing fetch with his cat, and solving math problems for pure fun and glory. Brian graduated from Montana State University with a B.A. in English literature teaching, with a minor in religious studies and a M.A. endorsement in library and media studies. 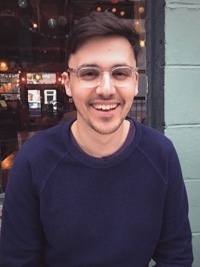 Brian then spent a few years teaching humanities in grades 6-12, before going on to complete two master's degrees as a Rhodes Scholar at Oxford University (in medieval literature and cultural anthropology). His PhD from Stanford University was interdisciplinary, based in the departments of literature, history, communication, and education. 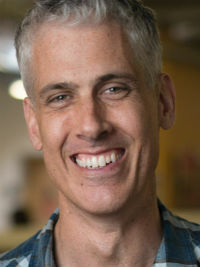 Prior to joining Khan Academy, Brian founded and directed a digital humanities education research lab at Stanford, where he designed digital tools and curricula for humanities learning in K-12 and higher education. Outside of work, Brian spends most of his time cooking needlessly complicated recipes. 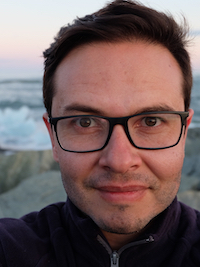 Shawn first developed a passion for education by watching Sal's TED talk, leading him to become a TA at a coding bootcamp, which then lead to teaching a course on Web Dev at Simon Fraser University. Coming full circle, he now leads a team of Engineers building amazing education software for learners around the world! Prior to joining Khan Academy, Shawn lead Engineering at Mobify in Vancouver, growing it from a tiny startup to a large 100+ person team. When he's not building products, Shawn likes to go cycling, play hockey, read, play video games, travel and try new food! 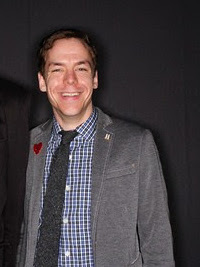 He received his Bachelors in Computing Science at Simon Fraser University. Before coming to Khan Academy, Melanie was an associate professor of economics and the Morris Professor of Public Policy at Austin College. She has taught many courses in economics and public health at the undergraduate and graduate level for more than 15 years. One of her proudest accomplishments is the co-creation of the Economics Scholars Program, an undergraduate research program hosted by the Federal Reserve Bank of Dallas. When she is not writing content in economics and finance, she enjoys spending time with her three children and renovating her more than 180-year-old home. Erica believes in design as a tool for social change and seeks opportunities to work on things that make people’s lives better. Before joining Khan Academy, she served on the Hillary for America design team, built user-friendly government services at 18F, designed data literacy curricula at MIT's Civic Data Design Lab, and developed brands and interactive experiences at 2x4. Diana works with engineering and design to build out Khan Academy's content creation platform. She's excited to enable content creators to deliver the highest quality content in engaging new formats to delight our learners, teachers and parents. Before Khan Academy, Diana held software PM roles at ProQuest Ebooks, metromile, and Financial Engines. In her spare time she enjoys going low tech--baking, sewing, hiking, rollerblading and the occasional yoga retreat. 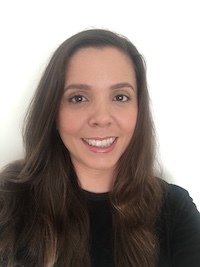 As VP of Marketing & Strategic Partnerships, Catherine leads the team responsible for expanding reach of Khan Academy via partnerships, including working with school districts and teachers to integrate Khan Academy into the school curriculum. 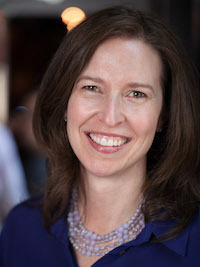 Prior to joining Khan Academy, Catherine held leadership roles in sales & marketing at Quicken and at Intuit; she also previously worked in the strategy group at Charles Schwab and as a management consultant at McKinsey. Catherine has a BS in Chemical Engineering, a MS in Industrial Engineering & Engineering Management, and a MBA from Stanford. 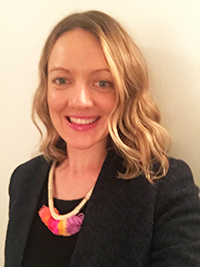 Kirsten is a digital communications whiz with eight years experience in non-profit and corporate roles. As Senior Social Media Marketing Manager, Kirsten is responsible for leading Khan Academy’s digital strategy, user engagement, content development and execution across social media platforms like Facebook and Twitter. When she’s not snapping selfies, making memes and speaking in #hashtags, Kirsten enjoys surfing, hiking, live music, eating fish tacos and cooking up a storm. 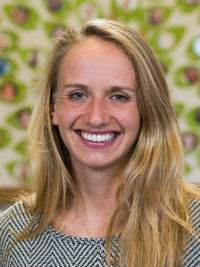 Allison works closely with colleagues across the organization to secure and manage the funding that allows Khan Academy to reach learners across the globe. She has been working in the non-profit sector for over a decade, first for USAID and more recently for research and implementing agencies in the public health sector. 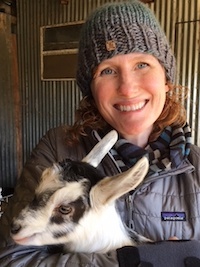 Allison joined Khan Academy after spending five years in India working on newborn health. 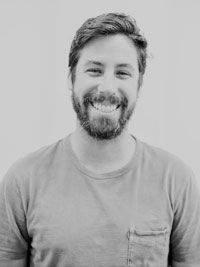 Jacob is a designer with a background in interactive design and illustration. He enjoys making complicated things simple and boring things fun. 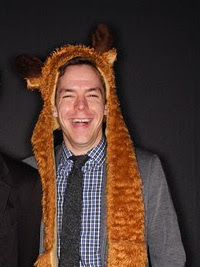 When he’s not in the office, he’s spending time with his wife, two busy daughters and their doggy Norman. 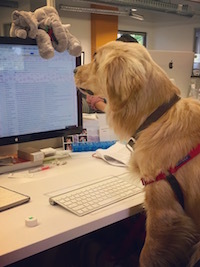 Libby enjoys transforming complicated data into actionable insights. At Khan Academy, she helps the marketing team spread the word that anyone can learn anything. Outside of work, you can find her climbing rocks or attempting to surf. Danielle is a Product Analyst at Khan Academy. She uses data to help people make better decisions for our learners. 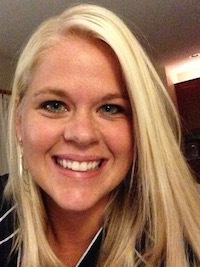 When not puzzling over analytical questions, Danielle enjoys reading, writing, and cooking. On the weekends you can usually find her playing outside: scuba diving, snowboarding, ATVing, or camping with her husband and cat. She is based in Las Vegas, Nevada. Sujata comes to Khan Academy after many years developing and managing software initiatives in fintech. She helps the Coaching & Coached Learning engineering team work on creating new, impactful ways for teachers and students to use Khan Academy in the classroom. Outside of work you will find her at local famers markets or hiking one of the many glorious Bay Area trails! 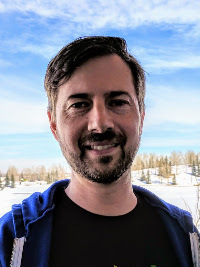 Paul joined Khan Academy in 2017 to lead DevOps and to ensure that the site runs really well and learners can count on it being available to them. 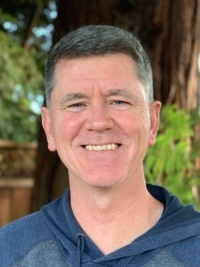 Prior to Khan Academy, Paul lead the building of many Enterprise applications and managed Cloud initiatives and technology at companies such as Intuit and Novell. He also spent over 10 years founding and building his own Internet startup’s. 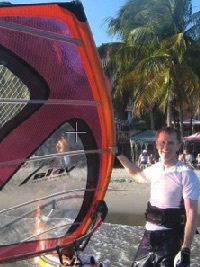 When not working with computers he pursues his passion of Squash, Windsurfing and flying Paramotors. 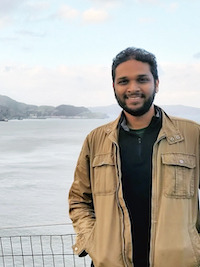 Bharath joined Khan Academy in 2017 and heads the localisation efforts in India. Before this, he was teaching in the School of Continuous Education at the Azim Premji University. 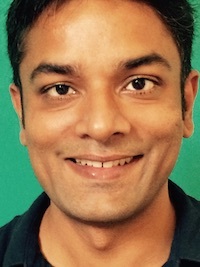 He liaises with various Indian state governments and non-profit organisations to strategise and guide them in setting up teams & processes that make Khan Academy accessible in native Indian languages. Mita is excited to join the engineering team at Khan Academy where she will focus on tools, infrastructure, automation and quality. 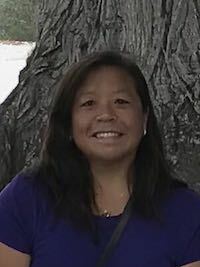 Prior to KA, Mita has spent several years in the tech industry at Mentor Graphics, HP, Yahoo, Symantec and a start-up called Fireclick (aka Digital River). 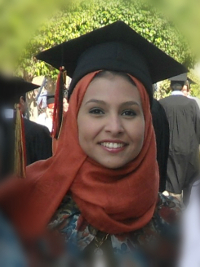 Mita has a Masters in Electrical and Computer Engineering from Rutgers University. Mita is passionate about education and in her spare time likes to teach young children to code. She has been the co-coach of her son’s Robotic’s team for the past 5 years. Mita loves to cook (only gourmet and preferably desserts! ), exploring the world with her family and attending concerts - Lady Gaga, Sting, JT, Pink Flyod being her favorite ones. 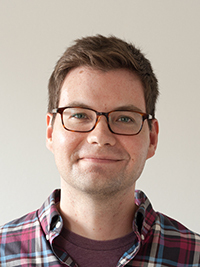 Tom leads the Humanities Content team at Khan Academy, serving learners of history, English, government and politics, and more! 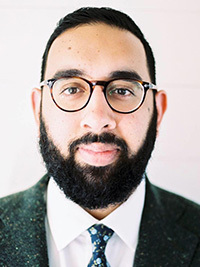 Pre-Khan, he’s worked as a tech support lead, IB prep course manager, schools workshop facilitator, ESL teacher, and an actor and writer for theater and radio. In his extra-Khan time, Tom enjoys spending time with his kids, playing guitar, running, cycling, and thinking about how it would be fun to write a novel one day. 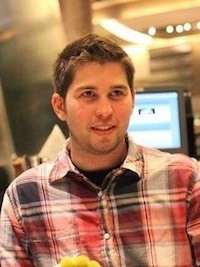 Jeremy is a mobile engineer working on the iOS and Android apps at Khan Academy. 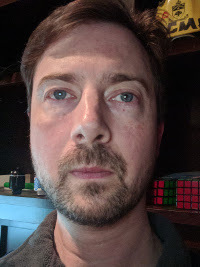 He's been building software of one sort or another for over 20 years. 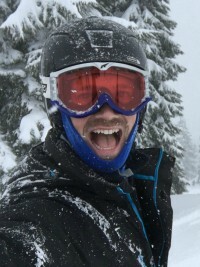 When he's not reading about the latest trends in computing he spends his time with his wife, snowboarding, or running. Ghis dreams that all Peruvian students use Khan Academy to access a better world-class education. Therefore, she works building alliances with the public and private sector, encouraging schools to use the platform as a useful tool for teachers. Before joining Khan Academy, Ghis worked in the Ministry of Education and NGOs in Peru, participated in the Global Competitiveness Leadership Program in Georgetown University and loves to travel around the world. 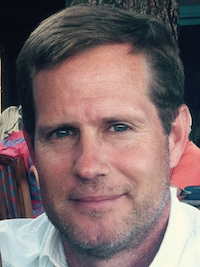 Mark has always enjoyed learning, teaching and empowering others. Before joining Khan Academy, he designed and built software at companies such as Apple, TestFlight and Mobify. 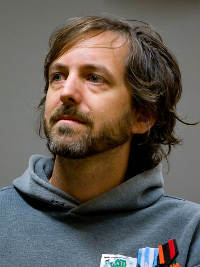 Mark is the creator of Factory Boy, a popular testing framework for Python, and has been published by the American Institute of Physics. He holds a BA in Applied Mathematics from the University of California, Berkeley. 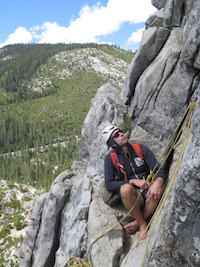 When not at his computer, you will often find Mark hiking, biking or climbing. When he is not writing code he is probably building or flying drones, BBQing, or watching Netflix. Neha loves to learn new things and teach everyone. When she is not nerding out on her laptop, she can be found reading, or baking or gardening. Arun believes in always being a beginner. Passionate about learning, software design, development, and education. 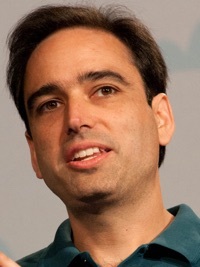 Prior to joining Khan Academy, he worked as Software Engineer at Chegg. Arun loves to listen to music, play piano and read books in his free time. Adam enjoys making software bigger and faster. After working at Google and Microsoft, he's excited to help change the way education is delivered. When not coding, Adam enjoys learning new things with his 5 kids. Jordan knows that people want to change the world. She heads up Community Giving so that more people can be part of our collective effort to provide a world class education for anyone, anywhere. Prior to joining Khan Academy she was saving the world in a variety of ways and roles at The Nature Conservancy. She also has faint memories of years in public relations and communications for technology companies. 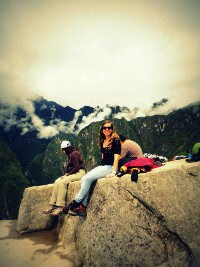 She’s an addicted hiker and backpacker, intrepid traveler, serious shoe collector and strictly amateur wildlife spotter. Russell believes that good software can change lives. He strives to make his work fun to use and accessible to all. 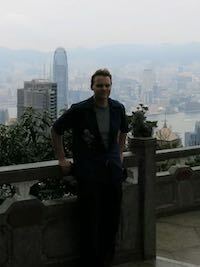 When not coding, he likes to go on trips and take many out of focus pictures. 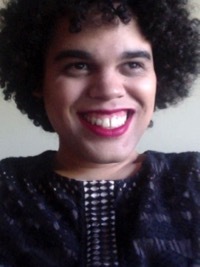 Kai is a Senior Software Engineer working on infrastructure at Khan Academy. 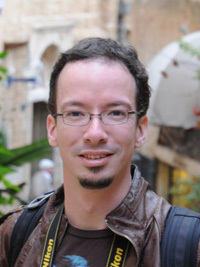 He's been building software and tooling, managing software engineer team many years. 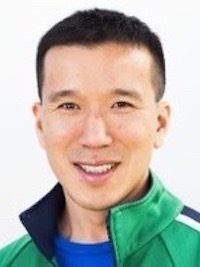 Before coming to Khan, Kai worked for Foxit, Zynga, and SugarCRM. 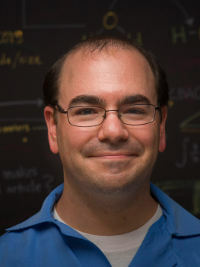 Kai has earned two MS degrees in Computer Science and Engineering Management. When not coding, Kai spends his time with family, movies, hiking or exercise. Jordan is a life-long autodidact who would still be a rueful Starb*cks barista today if not for free and self-guided education. They are pleased as punch to be able to give back to this community. When not coding, Jordan can be found flailing about gracelessly in a Vive VR headset. Andrew started making websites during the Flash and guestbook craze of the early 2000's and hasn't stopped since. In spite of those trying beginnings, today they focus on full stack development with a passion for making the web a better place. 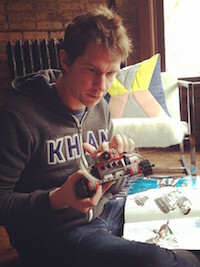 Warren is a multidisciplinary designer, artist, and tinkerer. 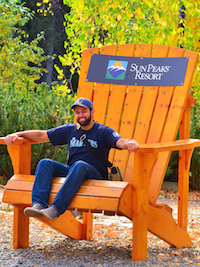 He loves building things, tending to rare succulents, and spending time with his family. Before joining Khan Academy, he helped lead design on projects at Vox Media, co-founded a non-profit newspaper, and built a civic startup called City2. 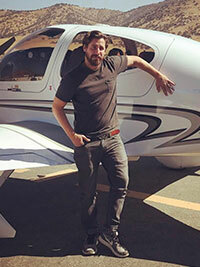 Sometimes he pretends to own single engine planes while chilling in Tehachapi. 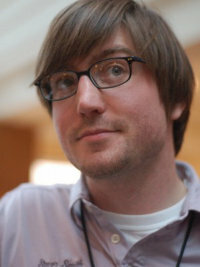 Jesse began making websites during the days of tables and Flash. 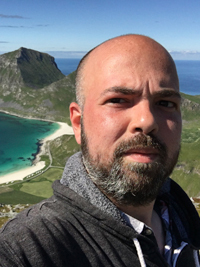 He then moved from the front-end to more full-stack roles with a focus on functional programming, containers, and accessibility. In his free time Jesse can be found obsessing over movies & music and hanging out with his cats. Martina loves all things technology and art, she can often be found learning something new or making something in her spare time outside of work. One of Martina's fondest memories are the years she spent serving as an animator/mentor for groups of junior youth aged 11-14 in the Junior Youth Empowerment Program (JYSEP), a grassroots program that helps build character through engaging with complex moral/spiritual issues, learning effective communication and leadership skills, as well as fostering a lifelong commitment to service in their communities. 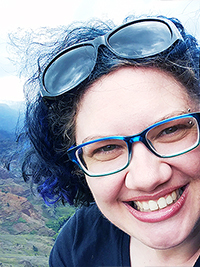 Lilli is a Senior Software Engineer, maker, and artist. 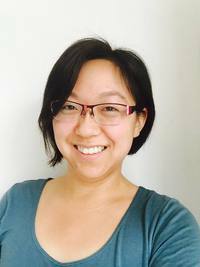 A mobile developer for over ten years, she joins Khan Academy to work on the iOS and Android apps. 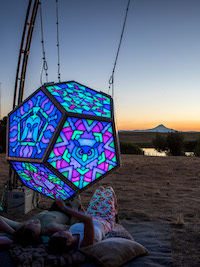 In her free time, she's often playing on her phone, making something new, or taking her art installations on tour around the west coast and the world. 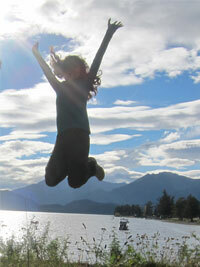 Stephanie creates and runs in-school programs for teachers and students to enjoy. In a previous life, she taught high school, did some management consulting and now is happy to blend those two roles here at Khan Academy. 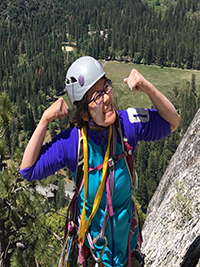 As a fierce weekend warrior, when she is not at Khan Academy, you'll find her on the side of a cliff, trying something new or driving to her next adventure. 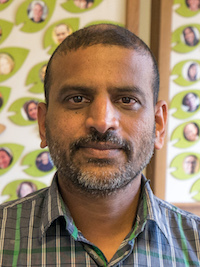 Vijay joined Khan Academy in May 2018 to lead the Quality Engineering team. 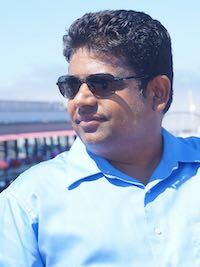 Prior to Khan Academy, Vijay has led Quality Engineering teams at companies likes Wells Fargo, Kaiser Permanente & Kodak. Outside work Vijay is a nature lover and also enjoys listening to music. 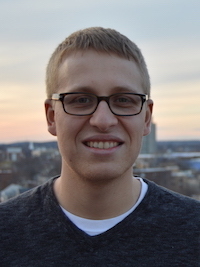 Jason is a full-stack web developer working on the learning platform team at Khan Academy. Before joining he spent his time building websites and mobile apps for Mobify and TripAdvisor. 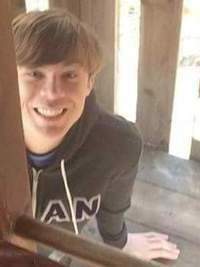 When he's not at his computer he can be found in the great outdoors rock climbing, skiing, or hiking. 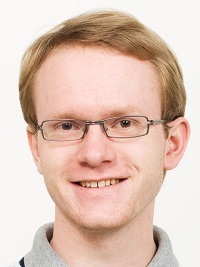 Boris is a python developer on the infrastructure team. Passionate about education, he also teaches at a coding bootcamp in Vancouver, Canada. 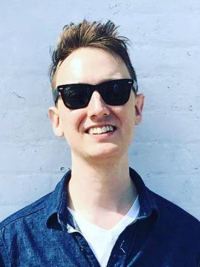 When he's not coding, he spends time bike touring, rock climbing, exploring new documentaries, and playing bad music to experiment with his audience. Anna is proud to work with a community of international volunteers and nonprofit organizations who translate and localize educational content to accelerate Khan Academy's mission of a free world-class education for anyone, anywhere. 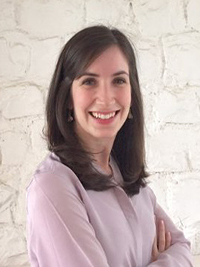 Prior to joining Khan Academy, Anna held various product, program, and operations roles in the human rights, environmental, and global literacy programs at Benetech, and software consulting and data analysis roles at Manugistics. Anna received a B.A. in Math, and a Master's degree in Operations Research and Industrial Engineering, both from Cornell University. When not working, Anna enjoys many types of music and dance, and spending time near the ocean whenever possible! 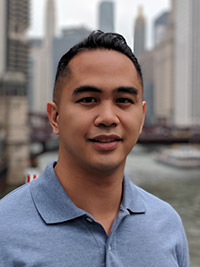 Jason joined Khan Academy in 2018 and loves working with talented, fun people solving important problems that have positive impact for customers. Jason built Intuit's QuickBooks, has experience building startups and recently lead front-end engineering at Financial Engines. Away from work you can find Jason playing tennis, golf, ultimate frisbee, and hanging out with his family. Ankita is a big believer in living with a healthy disregard for the impossible, and has always sought high-impact roles. 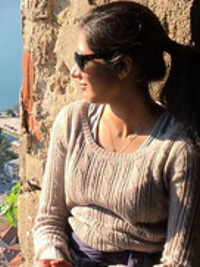 Prior to joining Khan Academy, Ankita worked in various Silicon Valley startups and big-tech companies, was a product fellow at Kleiner Perkins, and spent several years in management consulting. 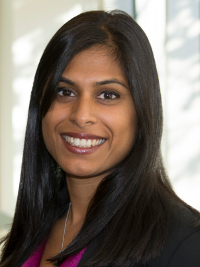 She holds a B.S Electrical Engineering from UT-Austin and an MBA from MIT. Outside of work, Ankita is a voracious book-worm (generally finishing ~1 book/week), weekend hiking aficionado, amateur chef, and most recently - has taken up acrylic & oil painting. It's fair to say that Ali is addicted to biology. 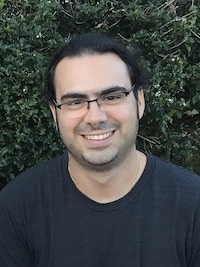 During his college years, he was so inspired by the work of the Khan Academy, he developed a site to teach general biology at Rutgers University called BIALIGY.com (bi-ALI-gy, get it?). Overall, his motto is simple: It's time to stop thinking of biology as the mere collection and memorization of haphazard facts and it's time to appreciate it for what it really is...the most applicable, the most relevant, and the most beautiful subject in the world. 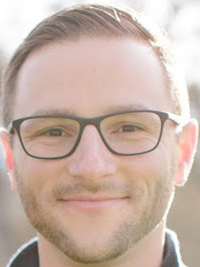 Adam has taught science to high school students and teachers in Cameroon, to college students at Colgate University, and to students all over the world as a curriculum designer and manager at IXL Learning. 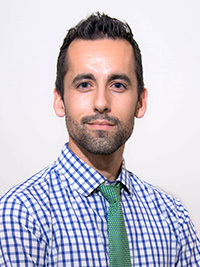 He earned his Masters degree while studying how DNA methylation affects the structure and function of chromatin, and his Doctoral degree while investigating the ecological and genetic consequences of polyploidy in flowering plants. At Khan Academy, Adam leads the science team’s efforts to create world-class courses on topics in biology, chemistry, engineering, and physics. When he’s not doing that, you’ll likely find him riding a motorcycle, flying a drone, or dreaming about adopting a puppy. 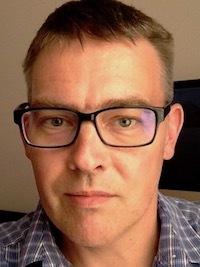 Hung has more than 17 years of experience in software quality assurance. Passionate and dedicated to releasing quality products, he is super excited to be part of Khan Academy and help give back to the community. He recently learned that his niece is actually using Khan Academy to prep for her SAT test. 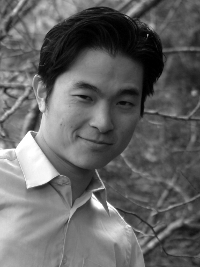 Prior to Khan Academy, Hung was a champion for product quality at LinkedIn for nearly 8 years. Outside of work, Hung enjoys spending time with his first baby boy and family, followed by running, cycling and sipping on a cup of Philz coffee. 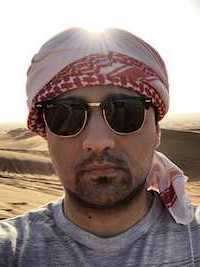 Abdul studied CS at UC Berkeley. In high school, he enjoyed learning on Khan Academy much more than he did in school, so he would like every student with a smartphone to be able to bring Khan Academy to their classroom. Nada is passionate about education since she was TAing for computer science classes during college. After completing her internship at Khan Academy, Nada was eager to continue working with an incredible team that wants to provide free, world-class education to everyone, everywhere. When she's not coding, Nada loves hanging out and playing games. 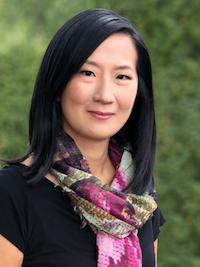 Ann loves working on teams to create impactful, beneficial web apps. 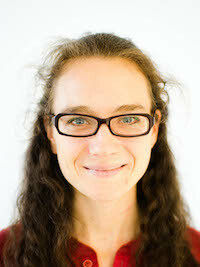 She’s passionate about web performance and software engineering best practices. Once a small-town farm girl, Ann now lives in a big, colorful city with her teenage daughter and partner. Her interests include music, literature, art, psychology and culture. She likes learning about all kinds of things. Erik loves technology, learning new things, and solving problems. 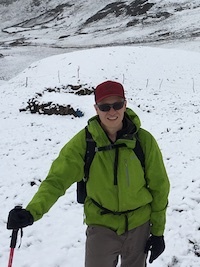 Prior to joining Khan Academy, Erik was a Tech Lead and Engineering Manager at Morningstar where he helped build a retirement product that helped people reach their financial goals. 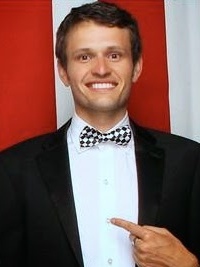 He holds a Bachelor of Science in Computer Science from Loyola University Chicago. Outside of work, he enjoys exploring the city, playing videos games, and trying new food. 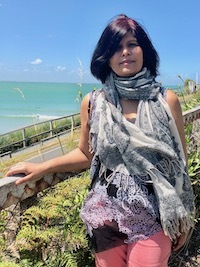 Pragya joined Khan Academy in 2019 and focuses on Automation and Quality. Prior to KA, she worked at VMware. 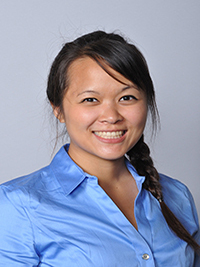 She holds a Master's degree in Software Engineering from San Jose State University. Outside work Pragya likes music, art and making trips. Kathy is excited to work at a place that is re-imagining education. 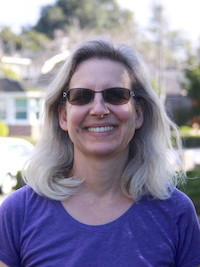 Prior to KA, she worked at Intuit, Kayak, created the iPad apps RetirePlan, MathGraph and FactFamilies, and taught AP CS A Java to high school students. Outside work Kathy likes reading, hiking, and politics. 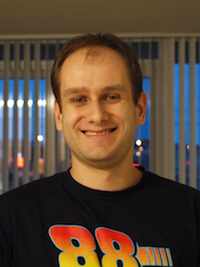 Ruslan is an automation engineer in the Quality Engineering team. Passionate about machine learning, blockchain and web developing. Matt has a lifelong passion for learning and education. His last gig before Khan Academy was at Ithaka, a not for profit serving academic institutions and researchers. When he's not writing code, he can be found on the mountain bike trail. When not Python hacking, Aric can often be found hiking with a wolf pack. Juan works on the Frontend infrastructure team. 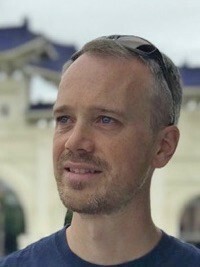 Passionate about Design systems, tooling and web performance. 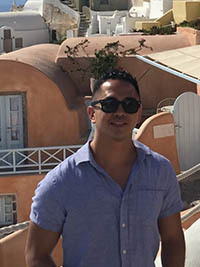 Before joining Khan Academy, Juan worked in multiple companies in Colombia and Canada. When not coding, he likes biking, playing soccer and hanging out with his family. 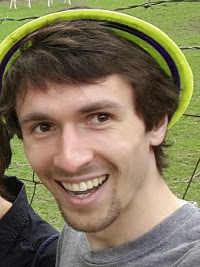 Angelo is a frontend focused engineer that is passionate about delivering awesome products that truly benefit users. Outside of the office, you may find Angelo transmitting on Amateur Radio frequencies (KK6LDH), letting magic smoke out of electronics, futzing with his cars, or off in the mountains camping. 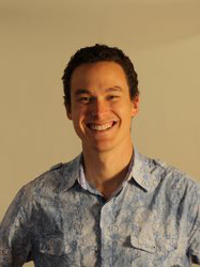 Adam is a software developer with a passion for building useful and understandable user experiences. 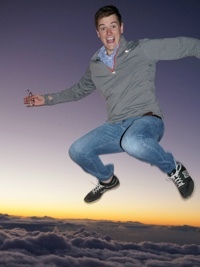 Before working at Khan Academy he built software for several companies in the US and Germany. In his free time, Adam likes to read, play video games, and travel. Pippy is so happy that others around him can’t help but be happy too. 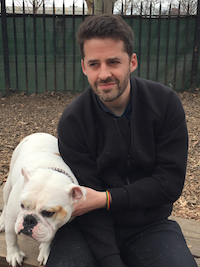 This is the sole qualification that landed him the role of Chief Happiness Officer. 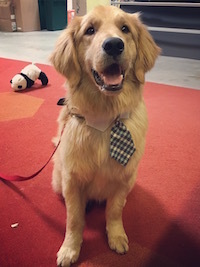 At Khan Academy, Pippy takes pride in ensuring that teammates walk away from his desk smiling (and slightly damp from his drools). This is usually accomplished by wagging his tail, playing rock-paper-scissors for treats, and generally enjoying life with great exuberance. During his off hours, Pippy loves to chase squirrels, hog tennis balls, and smoosh his face into his favorite humans. Khan Academy has also received the time, energy, and expertise of many past team members, volunteers, and part-time contributors.